UPDATE: Another exciting week at Bombardier, as stock surged upwards ($1.86 per share) on the news that Beijing Infrastructure (China) wants to buy Bombardier Transportation (Trains) division for $8.0 billion (valuation 60% higher than expected), which will have an IPO latter this year to provide liquidity for cash burning CSeries program. Still no new good news, and Bombardier stock (TSX:BBD.B) risks being a “penny” stock in a few weeks, as Macquarie sets target price of stock at $1.00 and recommends selling the stock now before it plunges, even though it’s AirFinance leasing division (165 aircraft, of which 94% are A320’s/B737’s) has 40 + 10 CS300 on order ? Another CSeries lessor, LCI says Bombardier needs to “start turning interest into orders from market leading airlines”, also that “two marquee customers that will each take in excess of 25 aircraft” is a must, as otherwise “LCI could abandon its 20 x CS100/300 orders”. Off course the CSeries order book lacks breath and quality (e.g. little known and struggling airBaltic of Latvia is it’s launch customer for the CS300 ?) and Bombardier needs a big new order soon to revive confidence in the program, as it is becoming clear that the current 243 orders are realistically only 150 at best while the A320neo line has 4,193 firm orders and the Boeing B737Max line has 2,869 orders, is the 100-149 seat market even viable for 2 OEM’s (Embraer and Bombardier) ? Lastly, Russian Ilyushin Finance (IFC) is talking about keeping its CSeries orders after cancelling this summer, yet EU/US/Canadian sanctions are in place (for Russia’s annexation of Crimea last year, its 4th occupation of another state’s territory since 1992) against Russian government majority owned banks, oil companies, several Putin’s close “friends/oligarchs” and current sanctions do include United Aircraft Corporation (UAC) the holding company for most of Russia’s aviation/aerospace industry, including the Sukhoi SSJ-100 SuperJet program) which also owns Ilyushin Finance (IFC), therefore any CSeries deal would be in violation of existing sanctions, and surely Canadian will stand by its obligations to STOP such a deal as NATO is facing renewed Russian aggression and a new “Cold War” is on, and no ‘western’ airline should order the Sukhoi SSJ-100 airliner as it would be a PR disaster these days one that could face a customer backlash/boycott. A Canadian election is set for next month and many Ukrainian and Eastern European citizens expect the Canadian Government to hold a ‘tough’ line on Russian expansion and aggression. Well another exciting week at Bombardier has passed, as the stock (TSX:BBD.B) as its stock climbed to $1.37 on September 9th and then on Friday September 11th it hit $1.86, having hit a new bottom at $1.11 on August 24. The struggling CSeries still has only 243 ‘firm’ (53 x CS100 and 190 x CS300) orders after 7 years of sales effort, which has to raise questions about the market segment it is competing in (100-149 seat), yet at best 150 are ‘realistic orders’, and then you look at Boeing and Airbus, and you know Bombardier’s executives must be scratching their heads asking ‘what the heck is going on ?’ are we in the wrong market ? something is terribly wrong with this segment, I have said it before, this segment is not anywhere near the size forecast, time shave changed and up-gauging has passed it by. Meanwhile the Airbus A320neo family has 4,193 ‘firm’ orders (only 49 x A319neo, 3293 x A320neo and 851 x A321neo) with 1,029 options and 311 MOU’s, worth noting that the A320neo line offers a choice in engines, with the A319neo having the PW1122G vs CFM Leap-1A23, the A320neo having the PW1122G vs the CFM Leap-1A28 and the A321neo offering the PW1133G vs CFM Leap-1A33 and so far the winner is CFM with 1309 aircraft (54% of decided orders) while PW has 1,118 aircraft (46% of decided orders). Boeing’s B737Max has 2,869 orders (only 60 Max7’s, 2,592 x Max8’s and 217 Max9’s), plus 1,071 options and 215 MOU’s, so the numbers say it all, no comment needed. Yet Bombardier plans to enter the 160 seat market with the stretched CS500 sometime in the future, and take on Airbus A320neo’s, Boeing B737Max’s, Comac C919’s and Irkut MC-21’s, what a bloodbath that will be, like the good old days of Convair, BAC, Mercure, Lockheed, McDonell Douglas, Vickers ! and then there were just 2. As of today, September 15, the stock is back down to $1.62 so far, down 61.4% from the start of this year. Yet, latest National Post headline “We feel pretty good about where we are” by Bombardier executive, says it all, they are the Titanic sinking, but no sense of urgency anywhere, even current customers want to see urgency in their mission. I know they inherited a mess from the previous team that created the whole mess, and now guys like Fred Cromer, President of Commercial Aircraft and CEO Alain Bellemare are doing all they can to fix it at quickly as possible, my heart goes out to them, but fix it they must, though I question how effective the middle ranks are after years of Quebecois nepotism throughout the company, as now they need everyone to step up and give it their all, but many may have little to give or contribute as 4 rounds of layoffs in less than 2 years have surely taken their toll on moral, enthusiasm, quality of employees, energy, commitment and belief in the goals and vision of Bombardier. As per my previous blogs, the investment community is waiting for some good news from the company, as it has been over a year since the last order for the CSeries, the only good news in sight is the certification of the CS100 sometime in the next 3 months, hopefully. The revived deal with Ilyushin Finance (IFC) has to be torpedoed as US/EU and Canadian sanctions are in place on various individuals in Russia, its state controlled banks and oil companies and most importantly United Aircraft Corp. (UAC), which owns IFC, so I expect Bombardier to walk away from that deal as the situation with Russia is tense and as they divert their industry away from the West, we need to cut them off with sanctions and let them struggle on their own with inferior commercial products and services. Breach of sanctions is a serious offense that Canada needs to prosecute to the fullest, and executives need to know that and consider their moves, sometimes doing business at any cost is not worth it, this is one of those times, IFC is screwing with Bombardier right now, it’s the Russian game, I know, I have been in Eastern Europe for 20 years, they love games to show who is boss, a communist ego thing from the bad old days. The rise in shares last week had nothing to do with the aerospace business, it was all due to the fact that Beijing Infrastructure of China, a government entity that runs 18 subway lines in Beijing made an offer on August 14th for 60% to 100% of Bombardier’s Transportation division which valued the business at $8.0 billion including its debt, much higher than the previous ‘valuation’ of around $5.0 billion. Bombardier plans a European IPO (initial public offering) in the 4th Quarter of this year for the Transportation division, and there is talk of anywhere from 20%-49% will be sold off to raise money for the cash hungry CSeries program which was originally planned to cost around $3.4 billion and then last year upped to $5.4 billion, and it will be surprise if it goes beyond $7.0 billion before it is certified and in service. If they do go with the stretched 160 seat CS500, they will have entered a market that will not allow it to make money, to go up against the B737Max, A320, MC-21 and C919 with all the money behind those manufacturers ? it will be a buyers market as margins will be razor thin with 5 choices, that has never worked for anyone in this industry. Selling the train business to stay in the plane business may not be the best choice in the long run, as long term profitability is highly suspect, hence the recommendation by some analyst to sell BBD.B stock now. 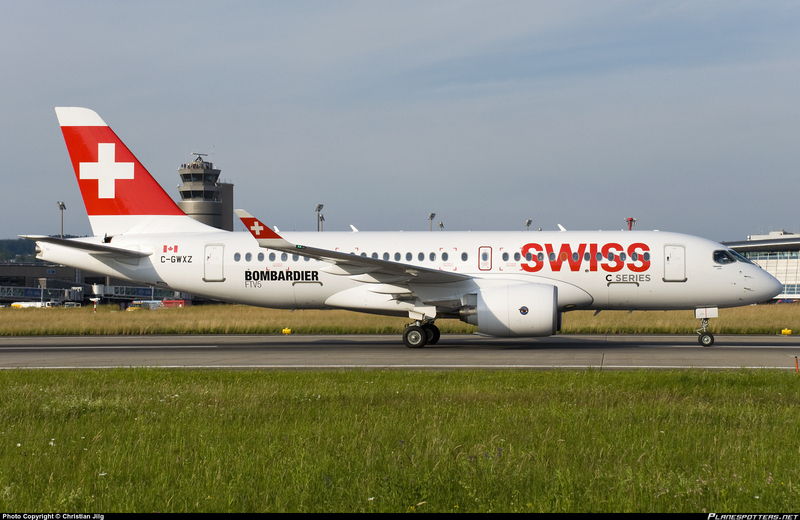 The CSeries is now 85% through certification, no date yet for certification, but delivery of 1st CS100 to Swiss is set for June, 2016, so the pressure is on, and by the end of this year, the CSeries will have gobbled up another $3.0 billion in cash, as the Global 7000/8000 programs are delayed to 2019 and 2020, no ‘revamp’ of Global 5000/6000 announced and Learjet 85 is all but cancelled, as cash is directed to the CSeries, while other programs struggle for investment. I have been warning in my blog for sometime of the high risk of cancellations within the very thin current 243 CSeries order book, and finally it is being discussed openly as National Post wrote about it on August 10, 2015. The order book includes 40 x CS300’s for Republic Airlines, presently a CPA (capacity purchase agreement) jet regional for US majors, presently capped at 76 seats by all pilots unions, and the company stock has dropped 77% this year alone to $3.25 as labor issues with pilots pushes it to Chapter 11 bankruptcy filing any day now if no resolution is found with its pilot’s union. Ilyushin Finance has announced it will cancel its order for 32 x CS 300’s due to economic sanctions on Russia for annexing Crimea, it’s 4th Russian speaking territory after seizing Abkhazia and South Ossetia from Georgia and Transnitria from Moldova, always the same pattern, support local separation, stir up violence and then declare them independent states and base Russian regular troops there, and the same pattern is being played out in Eastern Ukraine today, with Russians eyeing Estonia and Latvian Russian speaking minorities for future ‘support’. The current EU/US sanctions on Russia are aimed at Russia’s banks and financial institutions, and now include United Aircraft Corporation (UAC) which owns Ilyushin Finance, and therefore NO deal should be done, the Canadian government must stop any deal that Bombardier plans with the Russians, the Ukranian and Eastern European minorities need to speak out quickly as an election in Canada is in progress, need to put an end to Russian aggression and occupation of independent sovereign states, it is 1938-1939 all over again, history is being repeated right before our eyes, and sanctions are the simplest action we can take, short of war. That is why all EU and NATO countries must be united in sanctions and have the resolve to stand up to Russia bullying. The other “mickey mouse” orders are Iraqi Airways, a failed state that will be divided up into 3 in time, Odyssey a planned London City start-up, Gulf Air is restructuring amid huge losses, SaudiGulf is being stalled by the Saudi government now at war in Yemen, low oil prices forcing government spending cutbacks and future terrorism at home, in short ‘real’ orders at around 140 and then the quality of operators is sad, you have Lufthansa (Swiss), Korean and Malmo/Braathens as Tier 1 customers, the rest, like CS300 launch customer airBlatic of Latvia, government owned, barely profitable, rescued from bankruptcy by the state, but Bombardier had no “better” customer to launch the CS300, sad indeed. Now, Lease Corp International (LCI) which has 17 x CS300’s and 3 x CS100’s on order has come out to say that Bombardier “needs to start turning interest into orders from market leading airlines”. It is worried about the breath and quality of the order book, off course leasing companies need a market to lease to. LCI also said that continued availability of so many medium-term delivery slots, “right now you can get positions, and if you know that, there’s no urgency, Bombardier needs to create some urgency”, LCI has also said that it could abandon its orders “if more CSeries customers do not emerge”. As for the fuel efficiency of 20% over current production models, yes the CSeries will be more fuel efficient over ‘existing’ production aircraft (eg. B737NG, A320ceo and E195), but all the new aircraft presently in development will be using new generation engines like the PW1000G family of engines on the CSeries, A320neo, E190/195-E2, MRJ-90, Irkut MC-21 so in the end, the fuel efficiency argument is a moot point, all new aircraft will be +/- fuel efficient to the same extent, Bombardier and Mitsubishi and Irkut will have a new airframe, and the extra cost of that to add into their cost equation, while the others re-engined versions with improved aerodynamics, some with new wing and fly by wire, so who will win out in the end ? so far the reeninged versions of the B737Max and A320neo are miles ahead, will the E2 re-engined versions beat the ‘new’ CSeries, probably. Anyway, forget the fuel efficiency argument, create a value proposition that will get airlines to order the CSeries, focus on value not cost, and become a solutions provider and not an aircraft pusher, and sales will improve. Lastly, analyst and I believe that there is significant correction coming to Bombardier’s stock, it was very close 3 weeks ago in breaking the $1.00 per share barrier and if it were not for the offer for its Transportation division, the stock would be much lower today, and $1.00 per share is a real possibility in the next 6 weeks. One are of concern is the huge cash dilution from the CSeries into 2016 and 2017 as it enters service and production is reved up to 10 units per month, and loss per aircraft could be as high as $35 million per unit for the first 50 units, though with $5.3 billion investment that will surely top $7.0 billion before all is done, Bombardier will be lose money on every aircraft for a long time, as break-even is probably at least 530 units and possibly up to 700. I do not see what will generate future cashflows for Aerospace, as the CRJ/Q400 are fading in orders unable to compete with Embraer (outsold 13 to 1 in 1H/2015) and ATR, Global 5000/6000 production is cut as Gulfstream takes over leadership of the ultra-long range segment and the Challenger brand is just holding on for now. One only has to look at the $30 billion (and still rising) Boeing B787 Dreamliner program to show what Bombardier and its investors will face for the next few years. The accounting at Boeing defined a block of 1,300 aircraft and then predetermined cost and operating margin for each unit. Actual losses on each unit delivered are added to the deferred production costs. With deferred production costs of $11.469 billion, the costs were spread out to over each quarter plus production/tooling costs, so that for instance even after 1st Quarter, 2015 $905 million was amortized over the 30 x B787’s delivered (255 in total then), with a loss per unit of $30 million ! and this after 255 deliveries in 39 months, this is how OEM’s reduce the strain on their balance sheet for new and expensive aircraft development programs, so if this is what is going on at Boeing on the B787, then we can see Bombardier loosing money for some time as it spreads out its cost, but also from heavy discounting as surely Bombardier will not get $72 million per CS300 and $62 million per CS100 as they face stiff competition on each aircraft and then the CS500 (160 seat) aircraft if it happens will be up against the B737Max, A320neo, MC-21 and C919 you think it will make money in that segment ? In short, Bombardier is looking at many years of loses on its CSeries, so it has to sell the trains to keep the planes flying. « SUMMARY: Another Canadian airline has shut its doors again, as IMP Group’s CanJet Airlines has packed it in after 15 years of trying everything to be successful, from being sold to Canada 3000 and then revived, then went into scheduled services, then went into charter flying for tour operator Sunquest followed by ACMI flying for Air Transat and when that ended a failed quick and poorly planned attempt at becoming a tour operator as well, but CanJet Vacations lasted 2 months at best, again poor execution of a business plan and now it has run out of ideas. The airline has run the gauntlet of airline business models without any long term success or profit, the problem is more to do with execution than the business plans used, a common Canadian aviation problem. Now it will dry lease out its last 4 x B737-800’s and return them to their owners in May, 2016, but with no operations the AOC will be gone, and that is worth something for Canada’s aspiring ULCC start-ups like Canada Jetline or Maple Leaf Travel who have no AOC or money right now. Canada needs a ULCC, the business model is proven and LCC companies like Indigo Partners LCC and Irelandia Aviation surely would love to give it a try in Canada where 85% of domestic travel is in the hands of the duopoly of Westjet Airlines and Air Canada. Why are airlines like Air Transat allowed to lease in 10+ foreign B737-800’s on ACMI leases when Canadian aircraft and crews are available ? foreign ACMI leases should be allowed only when there is no Canadian lift available, time for the government to investigate this matter. Sunwing is a big foreign leasee as well… and the aircraft aren’t the quality that one expects in Canada. My complaints about the aircraft to Transport Canada were pretty much to no avail.